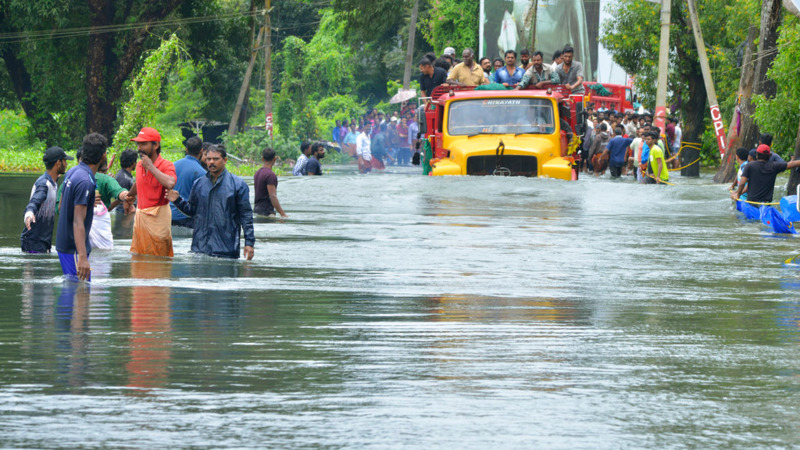 This is the dramatic moment a group of schoolchildren were saved from a bus that became submerged in floodwater in India. 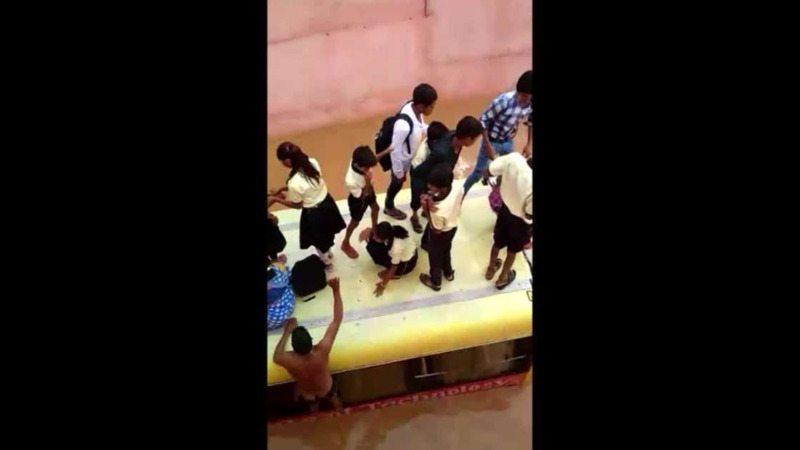 Footage captured on Thursday in Dausa, Rajasthan, shows the group of kids on top of the roof of the bus that drove into a waterlogged underpass. Residents are seen carrying the pupils on their shoulders away from the bus as others dangle umbrellas and rope towards the group. Heavy rain all week in the province has left many areas waterlogged and flooded.